Lack of activities can prevent you from living healthy. When you do not enjoy activities, you may feel fatigue or find it difficult to sleep at night. When you awake in the morning, you may feel tired until you finally fall asleep. 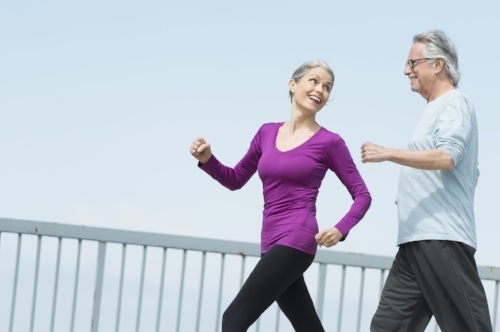 As we age, our body change and we must make changes to accommodate our lives. Having a good night sleep makes the mind think more clearly. A good night sleep also boosts your energy while controlling your weight. You can also make decisions with less stress. Sleeping well at night makes our immune system stronger to keep us healthier. Researchers have proved that a good night’s sleep is necessary for our health. Researchers have found that lack of sleep reduces the growth hormones in our bodies, since it changes muscles to fat. Sleep overall is most important, yet it stands behind activities. To improve your health, try walking each day. To rest proper and feel active you must reduce your intake of caffeine, nicotine, harmful chemicals, such as over-the-counter meds that keep you awake, alcohol and so on. The chemicals and substances will keep you awake. Try to avoid drinking anything after 8 p.m. in the evening. Nicotine should be avoided if possible, yet if you must smoke try to avoid smoking after 8 p.m.
Start a walking program in the morning to help wake you up, while boosting your energy. You will feel better since the joints will feel flexible enough to move freely. In addition, walking will help you burn fat and calories. You will notice a substantial change in how you feel the rest of the day. Start out walking at a slow steady pace for as far as you are comfortable. Each day pick up the pace a bit and walk further. Just remember when walking that you want to work up to a steady brisk walk to make you sweat but not out of breath. Take a short walk before and after meals to calm your nerves, and burn calories too, it will give you energy, relieve that stress from the long day and help you sleep. If you start a walking program for yourself, it is a lot more fun if you have someone to go with you. Talk to that neighbor you do not know and maybe they will walk with you. Just think about it; you will be acquainted with someone new, talk about new things will relieve stress and get in you exercise as well. This might help that neighbor too who maybe has not seen or talked to anyone in a couple of days and then they can sleep better at night. After walking that brisk walk you are doing, be sure to cool down. When walking at a vigorous pace your heart rate will go up and it needs to be back to normal. Just walk a bit slow and relaxing until you have cooled down. If you cannot go to sleep at night instead of getting up and turning on the TV try pacing around the house. Do some stretching and shake your arms and legs. Even walking around the house can relax you especially when everyone else is in bed and you can relax more.